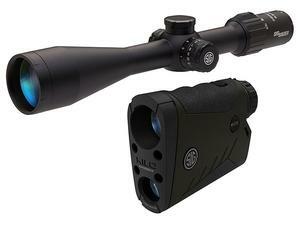 The SIERRA3BDX riflescope offers the power of the integrated SIG SAUER BDX(Ballistic Data Xchange). When used with the BDX capable KILO rangefinder, provides the hunter with illuminated auto-holdover. The SIERRA3BDX's intuitive controls allows ease of use, just connect the dot.